The first ever T20 league in UAE was played in October 2018 in a competition called the Abu Dhabi T20 Trophy. The first season had six teams from six different countries including Australia, Pakistan, South Africa, Afghanistan, England and New Zealand participating in the tournament in the first season. The competition was played over three days and there were seven games between October 4 and 6 played at the Sheikh Zayed Stadium in Abu Dhabi. This included six games during the league phase of the tournament and one final. This Abu Dhabi T20 League saw six teams from around the world grouped into Pool A & Pool B. Get all the information around the Abu Dhabi T20 Trophy squads, tickets, live streaming options, predictions and schedule for this first season of the tournament below. The first season of the Abu Dhabi T20 Cup was won by the Lahore Qalandars, who beat the Titans in the final. The Qalandars won the final by 15 runs, after captain Sohail Akhtar’s 56 had led them to 148/6 from their 20 overs. The Abu Dhabi T20 Trophy Schedule can be found below with seven games to be played at Zayed Cricket Stadium. 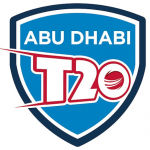 The Abu Dhabi T20 league will be broadcast live on television and will be live streamed online as well. The plan is to host this competition for at least the next three seasons with teams from around the world to be invited by Abu Dhabi. The Sheikh Zayed Stadium will be expected to get in about 20,000 fans for those games which will be played over just three days, at least in the first season. This will be the third T20 tournament that will be hosted in the UAE in a span of a couple of months, with others being the new Afghanistan Premier League and the T10 Cricket League. Some of the players who have confirmed their participation in this tournament are Chris Gayle, Tymal Mills, Gary Ballance and Pakistan’s Yasir Shah. If you are going to be in Abu Dhabi or any place around it and want to watch the Abu Dhabi T20 League from the Sheikh Abu Zayed Stadium in UAE, you can buy tickets for the tournament from one of the many options available. Tickets for the Abu Dhabi T20 can be bought from www.ticketmaster.ae online as well. The base price for these tickets is Dh25. Here’re the rest of the available tickets on a day to day basis.